You can't get any more Italian in Sydney than you can in Leichhardt. Naturally, this is an area where many European migrants love to live. It is trendy, chic, and so sought after. Yes, and so noisy too. Property prices are not cheap, however this does not deter people from living in the area. 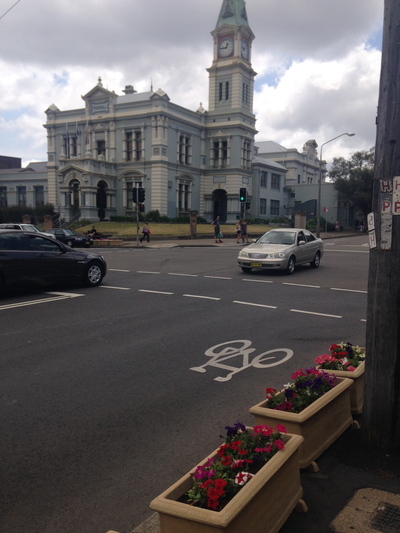 On the corner of Marion and Norton Streets, right near Leichhardt Town Hall. 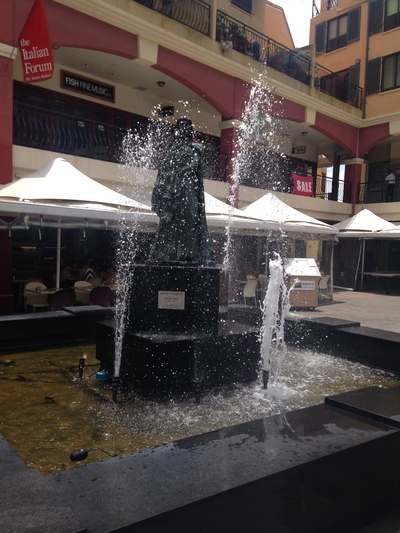 The Italian Forum on Norton Street is designed to be a piece of Italy in Sydney - an Italian square. At times it is easy to think that pilots use it as a navigational tool to Sydney Airport. Quite frankly, you'd feel like you're better off living in Sydenham instead when it comes to aircraft noise. Leichhardt is right no the flight path. 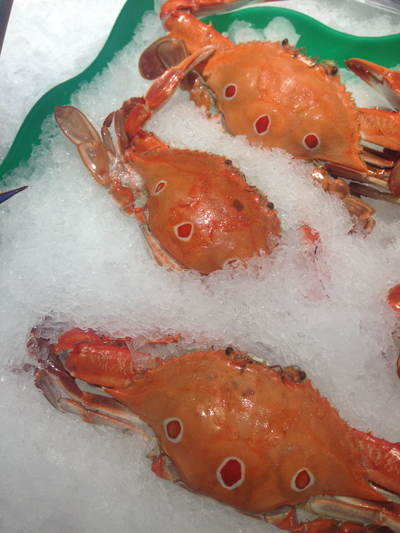 Many great choices to eat, drink and be merry in this area. 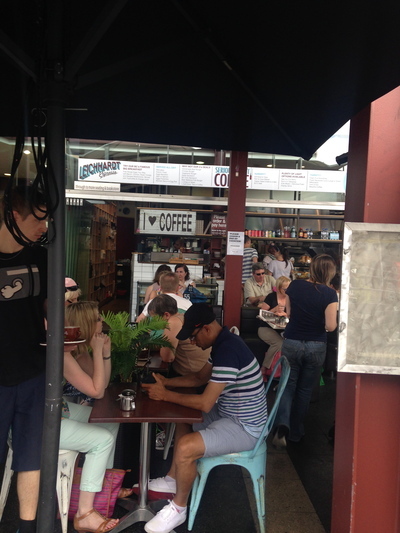 Naturally, Leichhardt is home to many homely cafes and restaurants. You can easily spend a few hours exploring this area at your own pace. Norton Street as a whole. Marion Street is also quite popular. Leichhardt Oval - the home ground for the Wests Tigers NRL football team. Leichhardt Park Aquatic Centre - right next door to Leichhardt Oval. One of the best places in Sydney to drink coffee, and eat pizza and gelato's at. Parramatta Road nearby. That bus turning into Norton Street from Parramatta Road is the toughest to watch. Having a library surrounded by Italian paradise. Having difficulty concentrating on your studies? Si. Any excuse to enjoy more ice cream. In a nutshell, the young and the old who can afford to live here. The Italian Forum. Those who can bear ample levels of noise live here. Quality brick houses and apartments live in this area, as well as Italian style living at The Italian Forum. Living in The Italian Forum is not for the faint hearted, and definitely not suited to those who want peace and quiet. You have aircraft noise to contend with, as well as the likes of people having fun and eating out in the open play land in this hang out space. It was known that football player David Campese once lived in The Italian Forum. He moved out as he could not bear the constant noise. 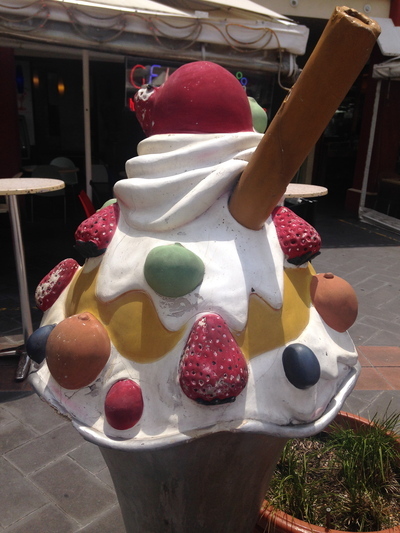 If Leichhardt was a food it would be: Gelato supreme. If Leichhardt was a shoe it would be: Any Italian shoe. Armani or Versace anyone? Parking: Difficult on Norton Street. If you're lucky enough to find a parking spot on Norton Street, take care not to get fined. 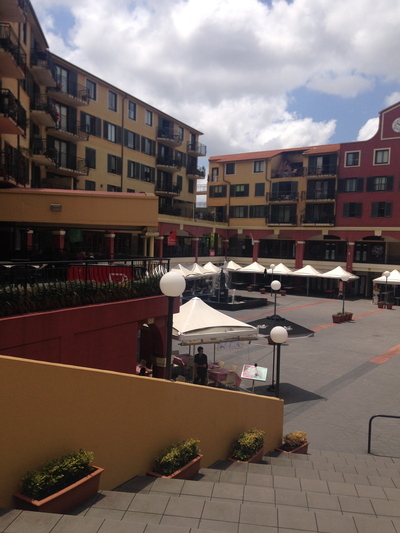 Otherwise parking is available at the shopping centre on Norton Street, as well as at The Italian Forum. Parking is relatively easy at Leichhardt Marketplace. Transport: Serviced by bus routes 436-438, as well as bus routes 440 and 444-445. Other bus services are available on Parramatta Road including bus routes 461 and 483. 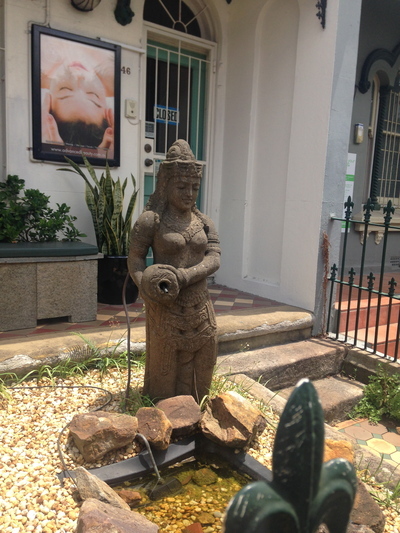 Nearby areas: Haberfield, Five Dock, Petersham, Annandale, Lilyfield, Rozelle and Balmain.